Officials are investigating what caused an abandoned church to go up in flames Tuesday night. 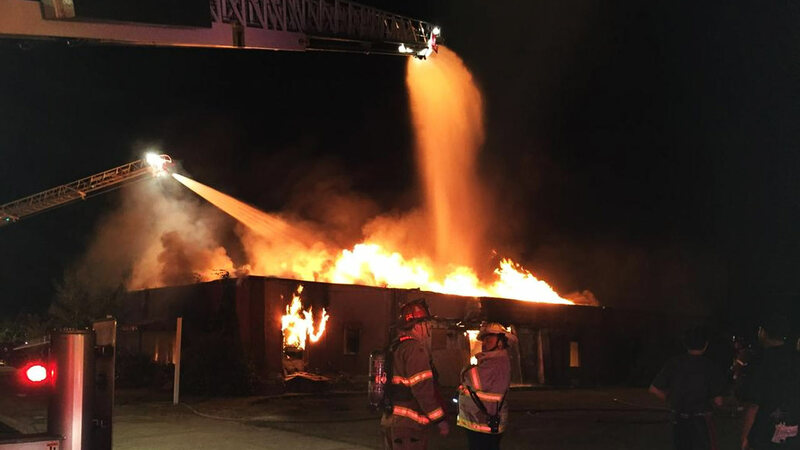 FRESNO, Calif. (KFSN) -- Officials are investigating what caused an abandoned church to go up in flames Tuesday night. It sparked around 10 p.m. at Olive and First. Firefighters worked to keep the flames from spreading to a home eight feet away. Neighbors say the building has caught fire several times in the past year. They heard a noise and believe someone set fire to the church, but firefighters are still investigating. "Yeah it is very scary because not only is it my home... there's a lot of people in danger not even the officers. But I live there. My whole life is in the house," said Carlos Adame, lives next door. No one was hurt by the fire and the home next door was not damaged. Firefighters are battling a 2-alarm fire at an abandoned church on Clay Avenue and First Street in Central Fresno.